From the 26th April to 25th May, La Sportiva takes us on a journey through the evolution of mountaineering with a temporary exhibition open to the general public at the Science Museum in Trento. 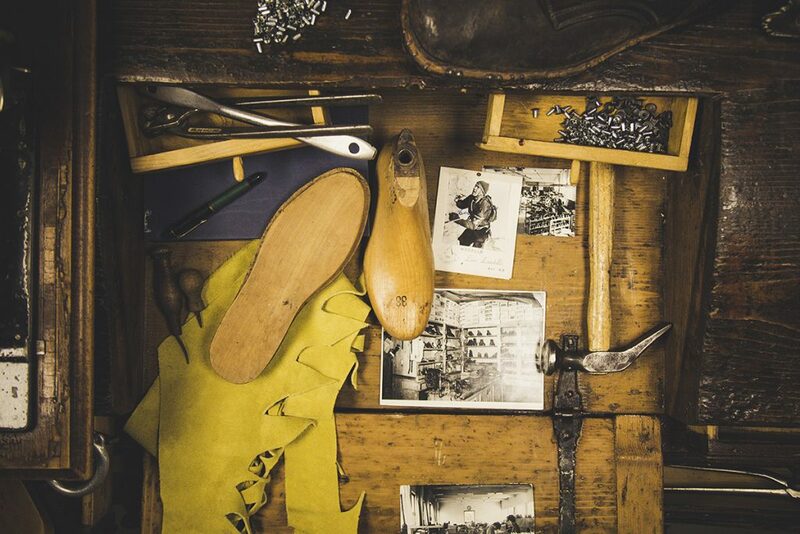 La Sportiva, world leader in the production of technical mountaineering footwear and clothing, celebrates its 90th birthday this year: the company was founded 90 years ago in 1928 by shoemaker Narciso Delladio from Tesero (Valle di Fiemme, Trentino), almost a century of history that has seen the small workshop called “La Calzoleria Sportiva”, grow constantly and evolve to become the global brand that it is today, world leader in the outdoor sector, especially in the niche markets of climbing, ski mountaineering, trail running and high altitude mountaineering, through the production of technical footwear and clothing studied and developed in the mountains of Trentino. Four generations of the Delladio family, represented today by CEO Lorenzo Delladio and his daughter Giulia, who have continued to family business tradition leading it to today’s successful position: over three hundred employees, a growing turnover that will exceed one hundred million euro in 2018 and a new production plant of 15.000 cubic metres that will be inaugurated by the end of the year and will soon lead to the potential doubling of the production of climbing and high altitude mountaineering boots. 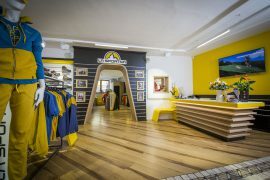 The official date of La Sportiva’s birthday is Wednesday, 23rd May: at the Muse in Trento the company will be holding their 90th Anniversary Party, a celebratory event open to the entire population of Trentino and more generally to all mountain enthusiasts and its protagonists. The mountains will descend to the city as La Sportiva embraces Trento in an event that will bring together history and legend with all the protagonists and athletes who have contributed to evolving the way we approach the mountains today, after 90 years of mountaineering. In fact mountaineering will be the protagonist in Trento for the whole months of May: from 26th April to 25th May the Muse will dedicate a temporary exhibition to the evolution of mountaineering. Through some important milestones in the history of mountaineering and climbing, and a collection of rare archive images, emotional videos and original products used by the best athletes in history during their most noteworthy adventures, visitors will be accompanied along the evolutionary path accomplished by the company from Valle di Fiemme in their 90 year old history that has seen them on the feet of the best exponents of world mountaineering. We will find the shoes used by Adam Ondra for the Norwegian ascent of “Silence”, the Olympus Mons Evo, worn by Simone Moro in the winter ascent of Nanga Parbat and the TC Pro used by the American Tommy Caldwell for the ascent of Dawn Wall on El Captain, on what is considered the hardest climb in the world. “A history of mountaineering, passion and innovation”: this is the title of the exhibition made up of images and products seen for the first time by the general public. The experience is completed by a sensorial journey dedicated to the little ones at the end of which it will be possible to pick up a small La Sportiva gadget.